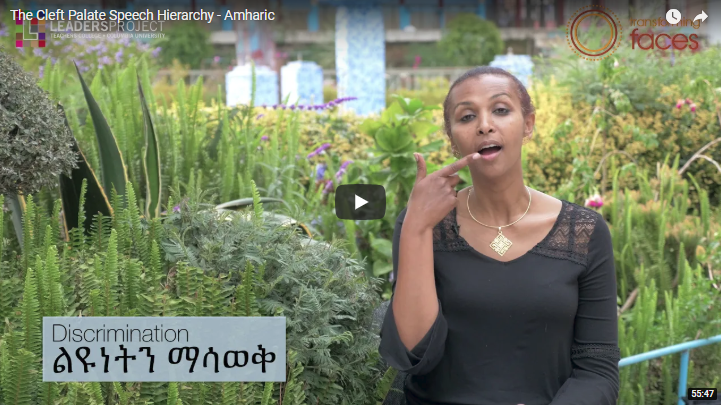 Description: Transforming Faces is delighted to announce the creation of the very first SLT training video materials available in two of the widely spoken languages in Ethiopia. These speech therapy training resources were designed by SLT expert, Dr. Cat Crowley. Yekatit 12 Hospital Medical College’s Speech Team of Berhane Abera and Hirut Menguistu also feature prominently in these resources.